Sessions is under more scrutiny thanks to new court documents. In light of new court documents unsealed in the special counsel's investigation, Sen. Al Franken, D-Minn., and other top Democrats are pushing Attorney General Jeff Sessions to explain his testimony to Congress about his knowledge of Trump campaign contacts with Russian officials. According to documents unsealed Monday, Trump campaign foreign policy adviser George Papadopoulos, who pleaded guilty to making a false statement to the FBI, frequently communicated with Russians about arranging a meeting between Trump and Russian President Vladimir Putin, and even pitched a potential summit to Sessions and Trump at a meeting of the then-candidate's foreign policy team on March 31, 2016. “When Papadopoulos introduced himself to the group, he stated, in sum and substance, that he had connections that could help arrange a meeting between then-candidate Trump and President Putin,” the statement of the offense against Papadopoulos reads. In an interview with ABC News, Franken said the filings appear to contradict Sessions’ sworn testimony and stopped just short of accusing Sessions of perjuring himself. “Sen. Franken, I’m not aware of any of those activities. I have been called a surrogate at a time or two in that campaign and I did not have communications with the Russians,” Sessions replied. Asked about his initial testimony at a hearing last month, Sessions again told Franken he did not communicate with Russians. “Was that what you were saying -- you don’t believe that surrogates from the Trump campaign had communications with the Russians? Is that what you’re saying?” Franken asked. “I did not, and I’m not aware of anyone else that did, and I don’t believe it happened,” Sessions replied. In an eight-page letter sent to Sessions on Thursday, a copy of which can be read below, Franken called on the attorney general to explain why he didn’t mention the Papadopoulos exchange while testifying before the Senate. 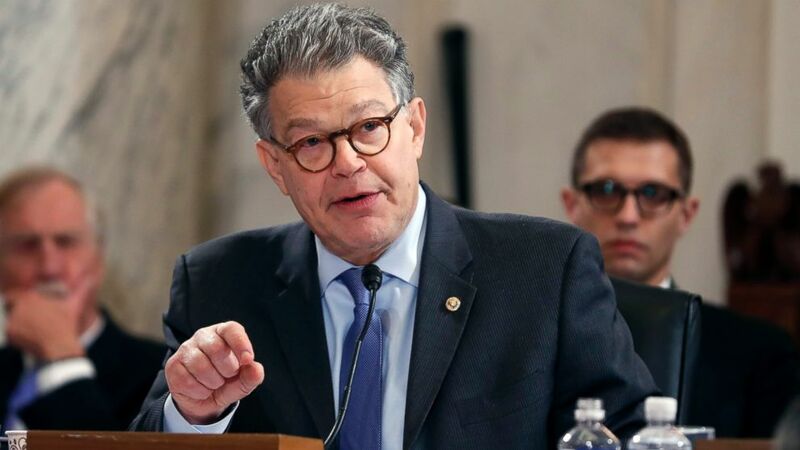 “We must get to the bottom of what happened so that we can prevent it from happening again, and I am deeply troubled that this newest revelation strongly suggests that the Senate -- and the American public -- cannot trust your word,” Franken wrote. Sen. Pat Leahy, D-Vt., the top Democrat on the Senate Judiciary Committee, called on Sessions to return to Capitol Hill. 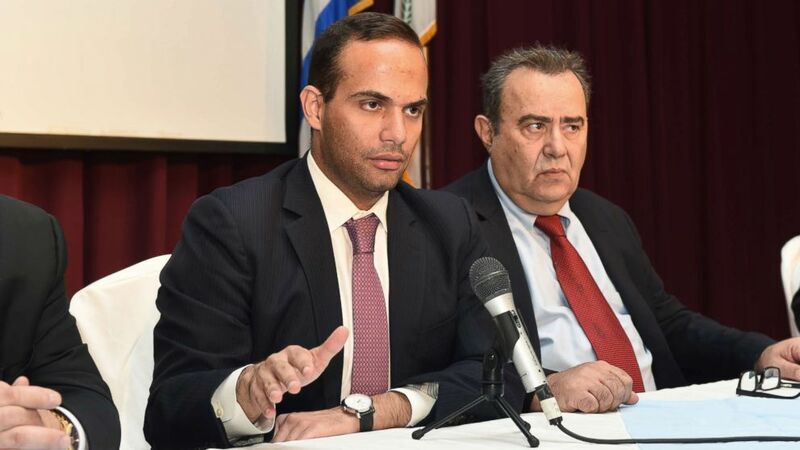 (The National Herald, FILE) George Papadopoulos, left, speaks at an event in Astoria, N.Y., Nov. 6, 2016. At right is Dr. Michael Katehakis of Rutgers University. “The description of the March 2016 meeting contained in unsealed court documents is impossible to reconcile with the attorney general’s appearance before the Judiciary Committee just two weeks ago,” Leahy said. On Thursday, Trump campaign foreign policy adviser Carter Page told the House Intelligence Committee he informed Sessions in June 2016 about an upcoming trip he was taking to Russia to speak at a university, a disclosure likely to put Sessions’ testimony under even more scrutiny. 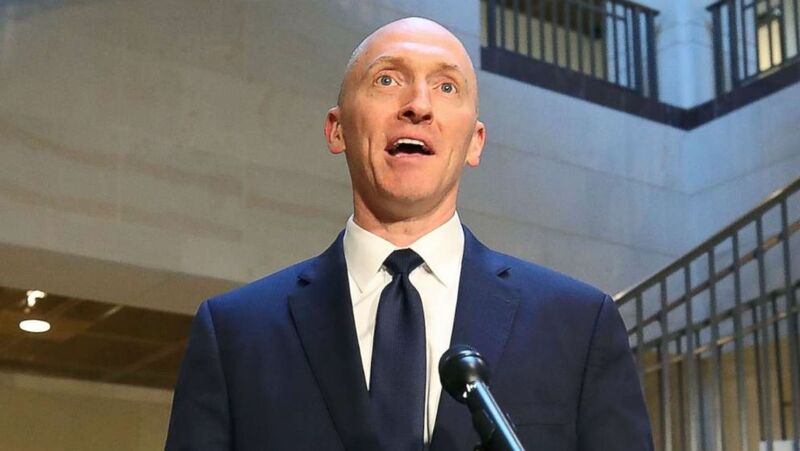 (Mark Wilson/Getty Images, FILE) Carter Page, former foreign policy adviser for the Trump campaign, speaks to the media after testifying before the House Intelligence Committee, Nov. 2, 2017 in Washington, D.C. Sessions shot down the offer from Papadopoulos to seek a meeting between Trump and Putin, according to J.D. Gordon, a Trump campaign foreign policy adviser who was present at the meeting. Gordon defended Sessions, saying it’s likely he simply didn’t remember the meeting. "I don't fault AG Sessions for not recalling things Carter or George may have told him in private settings,” Gordon told ABC News. “They were actual, bonafide volunteers, and only met the Senator in group settings once or twice at least half a year before his confirmation hearing. Thousands of people approached the Senator during the course of the campaign including many, many true volunteers." Aides to Senate Judiciary Committee Chairman Chuck Grassley did not respond to questions about whether the Iowa Republican wants Sessions to clarify or amend his testimony. Franken, meanwhile, is eager to put Sessions back in the hot seat. ABC News' James Gordon Meek, Mike Levine, Justin Fishel and Pete Madden contributed to this report.